It’s snowing. 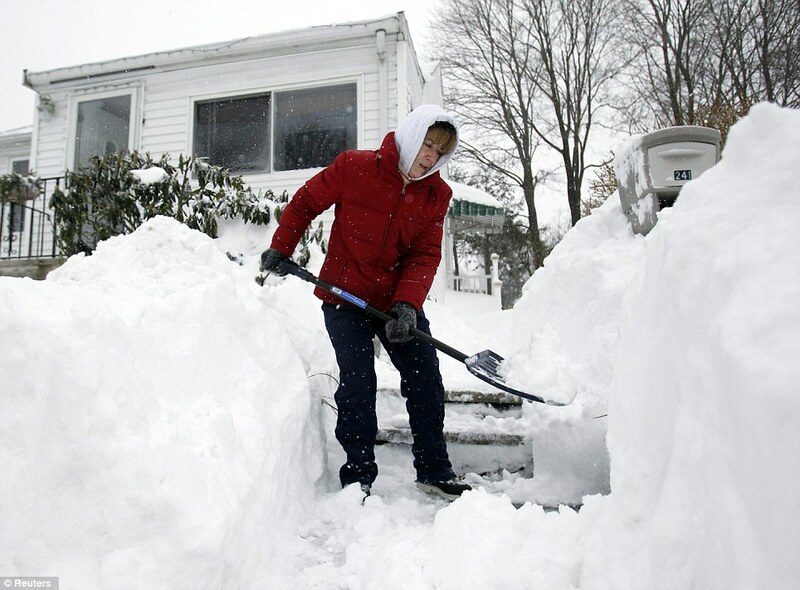 If you do not own a snow blower, chances are you will be forced to employ that trusty age old instrument – the shovel. - Check with your doctor. Because this activity places high stress on the heart, speak with your physician first. If you have a medical condition or do not exercise regularly, consider hiring someone to remove the snow. - Dress appropriately. Light, layered, water-repellent clothing provides both ventilation and insulation. It is also important to wear the appropriate head coverings, as well as mittens or gloves and thick, warm socks. Take a break if you feel yourself getting too hot or too cold. - See what you are shoveling. Make sure that your hat or scarf does not block your vision. Watch for ice patches and uneven surfaces. Avoid falls by wearing shoes or boots that have slip-resistant soles. - Clear snow early and often. Begin when a light covering of snow is on the ground to avoid trying to clear packed, heavy snow. It is also important to warm up the muscles with 10 minutes of light exercise before shoveling - especially the leg muscles. Heart attacks and injuries are sometimes the result of working the smaller muscles of your arms and back while not using the large muscle groups of the legs. It is also important to pace yourself, taking frequent breaks to replenish fluids to prevent dehydration. If you experience chest pain, shortness of breath or other signs of a heart attack, seek emergency care immediately by calling 9-1-1. Push the snow instead of lifting it, when ever possible. If you must lift, take small amounts of snow, and lift it with your legs: Squat with your legs apart, knees bent and back straight. Lift by straightening your legs, without bending at the waist. Then walk to where you want to dump the snow; holding a shovelful of snow with your arms outstretched puts too much weight on your spine. Do not throw the snow over your shoulder or to the side. This requires a twisting motion that stresses your back.